Louisa Fleet Recruitment : Do we do office recruitment as well? Do we do office recruitment as well? We often get asked if we recruit for office/admin roles as well as sales and management roles. The answer is – yes we do! 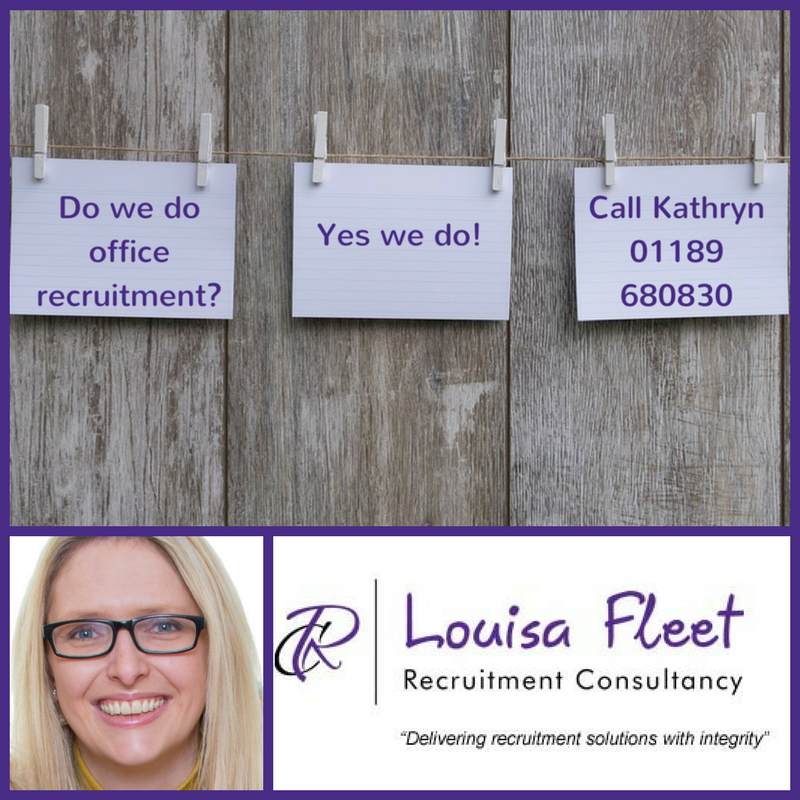 Although Louisa started the business as a sales recruitment agency, we often find that the businesses we work with require office staff and sales support staff. We have built a fantastic reputation over the years and we also hear from high calibre candidates who are looking for administrative and sales support roles too, who we also want to help find their next dream role! That’s where Kathryn comes in. As well as supporting the business processes and marketing, Kathryn also manages our admin and sales support recruitment. As an experienced administrator and recruiter Kathryn is well placed to help our clients and candidates in this area and she would love to hear from you if you’re looking for admin staff or a new admin career. Are you looking for sales support staff / administrators / customer service professionals? Are you looking for a new sales support / admin / customer service role? I always stay in touch with a London based Office Support Recruitment Agency, as it helps fulfilling all job vacancies in my company in a hassle free manner.